There is an abundance of things to do while vacationing on Sanibel & Captiva Islands. Whether you enjoy an active day out in the sun or prefer to relax and take in the scenery, you will be pleased you chose Island Vacations of Sanibel and Captiva. Below you will find some recommended Things To Do. We’ve compiled suggestions from our knowledgeable local staff who know the ins and outs of the Islands, as well as guests who have shared what they enjoyed most while vacationing with us. The 15 miles of white sandy beaches on Sanibel and Captiva are our top attraction for visitors and residents alike. From the east end by the Sanibel Lighthouse to the west end with its spectacular sunsets, the beaches present wonderful panoramas of the warm waters of the Gulf of Mexico. 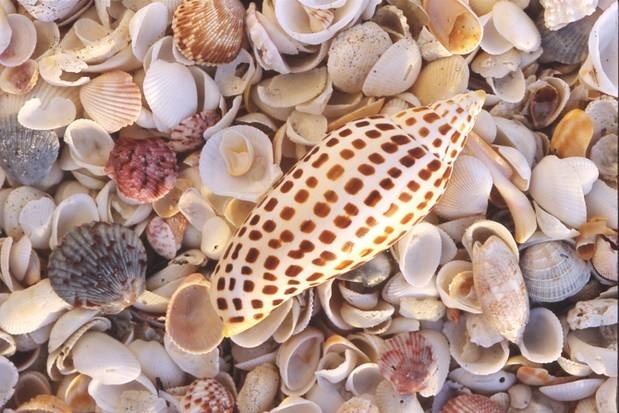 Our beaches offer world-renowned shelling. They are home to more than 250 varieties of shells click here. Maybe this is your first time at the beach. Maybe you’ve gone many times before but never really noticed the natural world around you. Maybe you love to shell and just want to learn more. Whatever your background, Captain Bubby’s IsLAND Tours will lead you on a guided beach walk, while you scope out the different plants, shells and sea life you encounter along the way. To book your Down by the Sea tour visit captainbubbys.com. Perhaps you love to comb the beach on your own! Now you’re curious about all the shells you’ve found. Visit the Bailey-Matthews Shell Museum, the only museum in the United States devoted to shells and the mollusks that make them. You’ll find over 30 shell exhibits and interactive displays for the entire family on display, a wonderful way to spend a day of learning. Sanibel is a nature-lover’s paradise with more than 60 percent of the island preserved as wildlife sanctuary. J. N. “Ding” Darling National Wildlife Refuge on Sanibel Island is part of the largest natural mangrove ecosystem in the United States. It is best known for its abundance of birdlife, with over 220 species to be found. You can get a tour of the birds, dolphins, manatees and alligators at the refuge with Tarpon Bay Explorers. Sanibel Island is a designated sanctuary island and you never know what you’ll see around every bend in the road or flying overhead. Island vacations should be about exploring and discovering new things. Sanibel Island has opportunities for exploration as unique as the sights you will encounter. Choose the one that best fits your needs and personality! Bicycling is one the favorite pastimes for visitors. With over 25 miles of scenic bike paths, Sanibel Island is a favorite get-a-way for bicycle enthusiasts. Sanibel has been nationally recognized as a Silver City by the League of American Bicyclists. This designation means Sanibel is a safe, comfortable and convenient community where people of all ages and abilities can enjoy riding bikes. Cycling is a great way to get around! Don’t have room for your bike in your suitcase? Billy’s Bike Rentals is sure to have the perfect cycle for you, whether you are a novice in need of training wheels or an experienced trail rider. Billy’s Bike Rentals also offers Segway tours Monday through Saturday. These tours are great for families and groups. Learn the history of Sanibel Island, see native plants and animals with a knowledgeable tour guide, and experience the Segway (a safety video and training session is provided prior to the tour). For the golfing and tennis aficionados Sanibel Island has two public clubs with 18-hole courses and multiple tennis courts. The Dunes Golf and Tennis Club is sure to keep you busy trying to make that hole in one. Designed by 10-time PGA Tour winner, Mark McCumber, the course challenges golfers of all skill levels. Experience lush, tropical links on the front nine, and a stunning wildlife preserve on the back nine. The Dunes’ unique aqua driving range is open to the public. If you are traveling without your clubs, the full service pro-shop offers Nike club rentals. The Dunes has seven Har Tru courts and a concierge tennis service so they can match you with a partner, should you desire to play a set while away from home. Automatic ball machines are available for rent so you can practice your strokes. Clinics and beginners’ lessons are offered. At Sanibel Island Golf Club accurate shot execution is a must, as the beauty throughout can quickly turn into hazards and difficulty. With forced carries over water, cleverly placed bunkers, well protected greens, and abundant wildlife, a round at Sanibel Island Golf club is everything you want – and more (click here for a course tour). Enjoy playing on their beautifully maintained clay courts built by Welch Tennis Courts, the designers of a U.S. Davis Cup facility. The five hydrogrid courts are watered from below to keep the clay in exquisite playing condition. The club offers private and semiprivate group lessons. If you are looking for a spot to play a round of golf, enjoy a tennis match or take a lesson, both of these are available to practice sinking a putt or perfecting your ace serve! If you enjoy boating, there are many experienced captains available to take you fishing, sailing or for a peaceful pleasure cruise to catch a glimpse of manatees and dolphins. The pristine waters surrounding Sanibel and Captiva Islands are home to a wide array of fish, including the Goliath Florida Grouper – a favorite fight for fisherman. The Bait Box or Whitney’s Bait and Tackle Shop can connect you with experienced captains who will take you to all of the local hotspots to catch redfish, snook, trout, tarpon and more. Adventures In Paradise has served tourists and residents with local cruises since 1986. Adventures In Paradise Cruises brings you their love of the sea: dolphins, manatee, sea otters, seahorses and shelling throughout the waters surrounding Sanibel & Captiva Islands! Experience their fishing, shelling & lunch excursions, Sea Life encounters, Dolphin Watches, and Sunset Dolphin Cruises and they will happily create a special cruise or private charter for your group. You can also hop on the Adventures In Paradise trolley for the Historical Trolley Tour of Sanibel Island! The Sanibel Thriller is a real island vacation experience! The Thriller circumnavigates Sanibel & Captiva, cruising the waters of the Gulf of Mexico and Pine Island Sound. 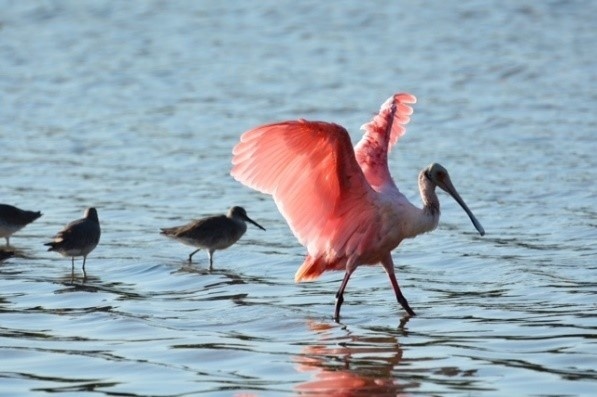 You’ll see some of the world’s most renowned barrier islands, along with local wildlife such as dolphins and exotic birdlife, as well as the historical Sanibel Lighthouse. The excitement starts when you leave the dock! Kayaking is a popular island activity. Enjoy the quiet backwaters of Pine Island Sound for a leisurely paddle or a good family trip. Fishing is excellent on both the Gulf and Sound side of the islands. You can book a tour with a guide through Tarpon Bay Explorers and learn about the mangrove nurseries that rim the islands as you explore the bay area discovering water birds, manatees and dolphins that make this area their home. Are you a more skilled kayaker? Perhaps you want to do a little fishing, or take off on your own? Get adventurous and stop at YOLO for all your watersport and scooter needs. From kayaks to jet skis and the fun little scooters you see touring the island; YOLO can help make your stay memorable. The Sanibel Recreation Center is open to the public and has a pool, weight room, and a variety of classes and exercise equipment. No need to forgo your daily exercise routine! Daily and weekly passes are available. You can pre-order a custom grocery package through Bailey’s General Store or Jerry’s Foods. Your vacation rental information will be required to submit the order. Please follow the instructions on each store’s website. Your order will be waiting in your unit when you arrive. Perishable items will be refrigerated; non-perishable items will be neatly arranged on the kitchen counter. The perfect way to begin your relaxing vacation! Looking for a unique and island inspired shopping experience? Why not turn your shopping day into an exploration and discover Sanibel’s many boutiques. Our Sanibel Island shopping district runs the length of Periwinkle Way and reflects small town America with store owners intimately involved in every aspect of their business. Shop and explore at these fine centers by car, bicycle or on foot! Shop Well! Shop On Sanibel features four retail centers (Tahitian Gardens, The Village Shops, Olde Sanibel Shoppes and Tarpon Bay Center). Don’t overlook Periwinkle Place, one Sanibel’s most popular shopping destinations. Those with a bit more wanderlust can head up to Captiva and shop along their main street, Andy Rosse Lane. We suggest Chloe’s of Captiva for the fashionista. For a fun evening out on the town, enjoy dinner at one of the many award winning Sanibel Island restaurants. Traditions on the Beach offers sunset views from their beachfront restaurant and lounge. Sip on a classic cocktail or a master mixologist creation in the lounge before making your way into the dining room for international cuisine served with Sanibel style. Then dance the night away to the live entertainment on their dance floor. Another option is to spend an evening at the BIG ARTS Strauss Theatre which is Sanibel Island’s professional musical theater offering Broadway caliber talent in an intimate atmosphere. The BIG ARTS Strauss Theatre is proud to offer the best family oriented entertainment in one of the world’s most beautiful vacation destinations. BIG ARTS has a wide variety of entertainment throughout the season. Their schedule offers seasonal and individual show tickets. Tickets can often be picked up the night of the show at the box office. Call ahead for availability. For a comprehensive list of places to go and things to do, click here. Island Vacations’ friendly and knowledgeable staff is always available to point you in the right direction. Our Islands are the perfect place to relax. Your vacation is waiting. Island Vacations wishes to thank their official photographer, Daniel Keiffer, for the use of his beautiful photos.